They officially announce the class on Monday, so if you want a guaranteed spot you might want to sign up now rather than later in case it sells out. this is a great news! thank you! Hi Sam, congrats on launching the new course! Of the two courses you run on schoolism, which would you recommend for a guy new to art? Richie, I'd recommend the "Fundamentals of Lighting" class. 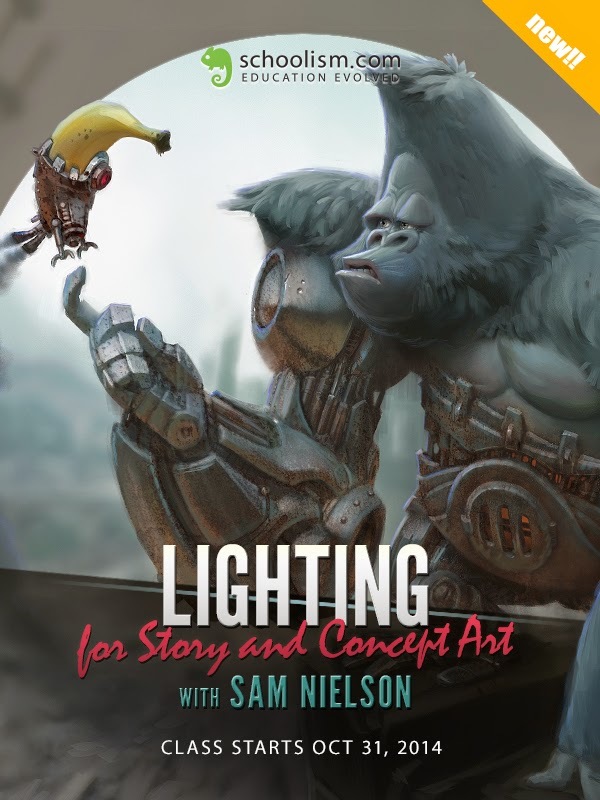 The "Lighting for Story and Concept Art" class is for artists who have either taken the fundamentals class already or who are already at that level in their skill/knowledge. Thanks Sam, I will hopefully pick up the fundamentals course when schoolism do another sale and join you for the live course in the new year! I got in just before the class filled up! See you in October! Can't wait!!! Congrats on the new course. It looks amazing! Will this eventually be available in the self-taught version? Tesa, I think they're adding a self-taught version soon!